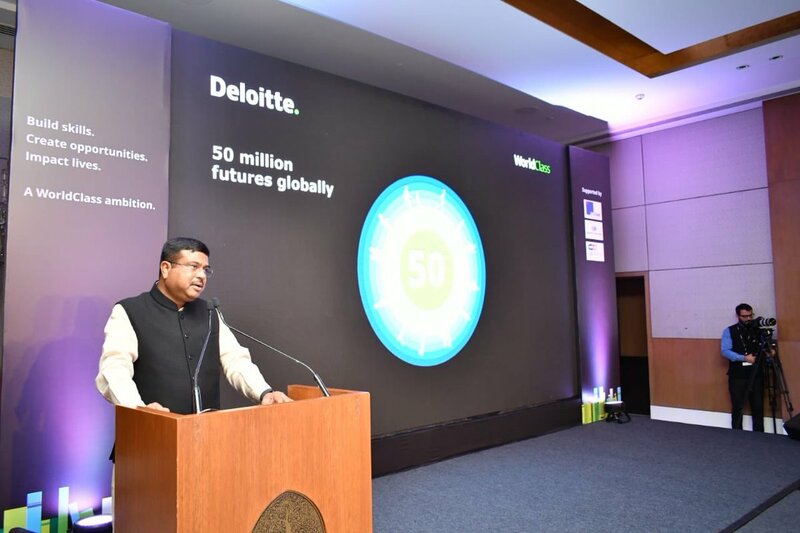 New Delhi: Deloitte, a large professional services organisation, today announced the launch of its global initiative ‘WorldClass’ in India, which aims to support 10 million girls and women by 2030 through education and skills development. Shri Dharmendra Pradhan, Honourable Minister of Petroleum and Natural Gas and Skill Development and Entrepreneurship, Govt. of India and Deloitte’s Global CEO, Punit Renjen launched the initiative in New Delhi today. Globally, Deloitte’s WorldClass initiative seeks to prepare 50 million people to be better prepared for the future of work, in-line with the United Nations’ Sustainable Development Goals (SDGs). By collaborating with stakeholders across sectors, Deloitte aims to make a meaningful impact on issues that are critical to societal success. Through WorldClass in India, new partnerships with organizations that share Deloitte’s vision will be launched to accelerate solutions that work supporting girls and women. Two of those organizations are Katha and Pratham, which are improving the learning outcomes of millions of children and young people in schools and communities across India. Speaking at the occasion, Chief Guest Shri Dharmendra Pradhan, Honourable Minister of Petroleum and Natural Gas and Skill Development and Entrepreneurship, Government of India said, “The vision of new India places women in the centre of our quest for economic growth. In success of women, lies the country’s success. The onus is on us to ensure women become self-reliant, and active participants in our economy. Providing quality education and skill development, and facilitating access to opportunities, are key stepping stones. “With our investments in the community, we aim to support the economic empowerment of women which is often a catalyst for long-term sustainable change. We are committing to help those who are left behind, develop skills required for new and better opportunities,” he added. A Deloitte India spokesperson said, “As one of the emerging economies on the world stage today, India’s demographic dividend forms an integral component of its growth story. The task of harnessing its power has to be fuelled by the private sector.